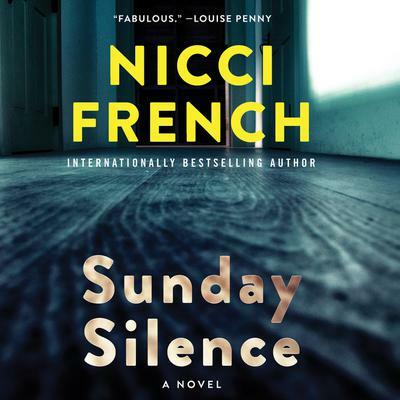 Read Sunday Silence, the new novel in the series that LOUISE PENNY calls "fabulous, unsettling, and riveting"— and brace yourself for the breathtaking series finale in summer 2018. Frieda Klein's home is a crime scene when the body of a private detective is found under her floorboards. Then she receive's a phone call from her niece saying "come get me," but Chloe doesn't know where she is. Apparently, Chloe had been abducted three days earlier and released in a local graveyard. Why? To antagonize her aunt, of course. This is followed by her good friend and mentor, Reuben, who was recently diagnosed with cancer, is found badly beaten in his home. After a brief disappearance, Josef returns with his youngest son Alexei in tow and then his son is abducted and returned with a message for Frieda. And adding insult to injury, one of her former patients is murdered, her former co-worker, Jack Dargan, is beaten up, and the police commissioner is fired and blames her. The only spot of good news out of all of this is that everyone finally believes her when she tells them that Dean Reeves is still alive and responsible for the body under her floorboards. Dean also sends a message via Alexei that he "is" responsible for that abduction but not for the beatings and other things going on. Is it possible there are two serial killers targeting Frieda Klein? How can she protect her family and friends and stay alive while the body count is constantly building and another person is missing? Will they be able to find the missing person before it is too late? 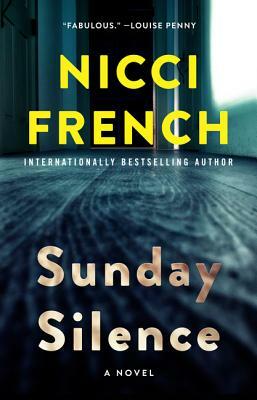 I had the pleasure of reading and reviewing Dark Saturday (which I thoroughly enjoyed) last year and was honored to receive a copy of Sunday Silence to review. Let me see if I can sum up my reaction to Sunday Silence in a few brief words, WOW! This was an amazingly fast-paced, engaging, and enjoyable read for me and one that I finished in a few short hours despite an ever-increasing migraine (thank you triptan medicines). Seriously, I couldn't put this book down. 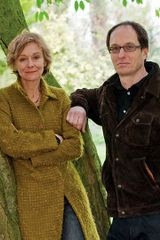 The authors have crammed quite a bit into this taut psychological thriller, such as murder, suspense, illegal immigration, battery, abduction, family drama, friendship drama, workplace drama, psychological manipulation, and more (read the book!). The one phantom boogie man that has been a constant in the Frieda Klein series is Dean Reeves and although he doesn't quite come out of the shadows in Sunday Silence, he does make his presence known and packs quite a punch towards the end of the story (no I won't tell you how - read the book!). This is the seventh book in this series and apparently, the series will be coming to an end with the eighth installment due out later this year. I, for one, will be sad to say goodbye to Frieda Klein and her adventures, but until then I will continue reading (and yes, rereading the earlier books). If you've read any of the books in the Frieda Klein series then you'll definitely want to read Sunday Silence to see what's happening next. If you haven't read any of the books in this series and you enjoy psychological suspense, then I strongly encourage you to grab a copy of Sunday Silence along with the other books in this series, set aside a few weekends and read, read, read! 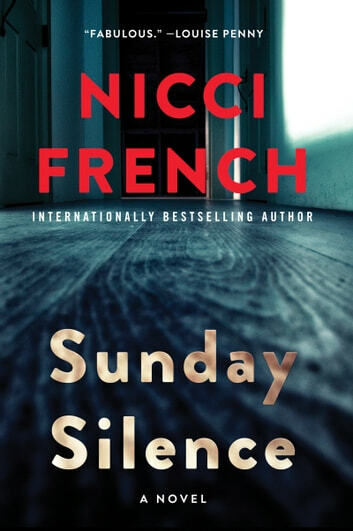 Not sure about psychological suspense or unsure what all the hoopla is all about, start with Blue Monday and work your way up to Sunday Silence and then trust me, you'll understand. It's impressive when a book can keep your attention through a migraine! So glad you really got into this one! Sounds like a really strong series!